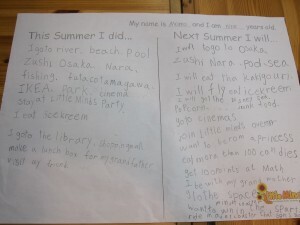 Next Summer Vacation is Already Planned!!! Hello, everyone! 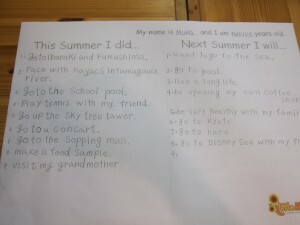 Our Cram School class students were sharing their summer time experiences, and also have written their wishes for the next year! Of course, they still do make mistakes, but a lot of effort was put in this project. 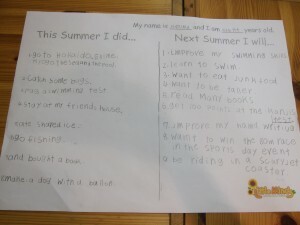 Do you have anything special you would like to accomplish during the next summer season? Can you say that in both, Japanese and English?